In association with Music Revival, Friends of Music will present several concerts featuring American pianist Spencer Myer, who was lauded for “superb playing” and “poised, alert musicianship” by the Boston Globe, and labelled “definitely a man to watch” by London’s The Independent. A Steinway Artist, Myer is one of the most respected and sought-after artists on today’s concert stage. Since winning the First Prize in the 2004 UNISA International Piano Competition, he has appeared in South Africa six times, in tours of recital and orchestral appearances. A native of Cleveland, Ohio, and a graduate of the Oberlin Conservatory and the Juilliard School, Myer has established a long and respected career as a recitalist, concerto soloist, lieder accompanist and chamber musician. 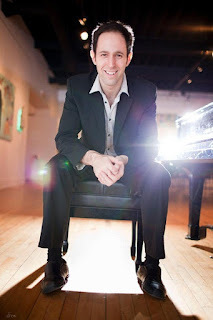 He is currently Artist/Teacher of Piano and Collaborative Piano at Boston's Longy School of Music of Bard College. June 18. 2018, at 19h30 - Durban Jewish Centre, Durban. Tickets R120 (R100 FOM Members) available at the door.